Hearthstone Dreamhack Tours HCT Tour Stop was played from 19th May to 21st May 2018 in Tours, France. It was an open Hearthstone Championship Tour Stop, where 232 players competed for a $15,000 USD prize pool and HCT points. In this post, I take a look at the decks and results of the tournament, including class distribution, archetypes, and lineups. 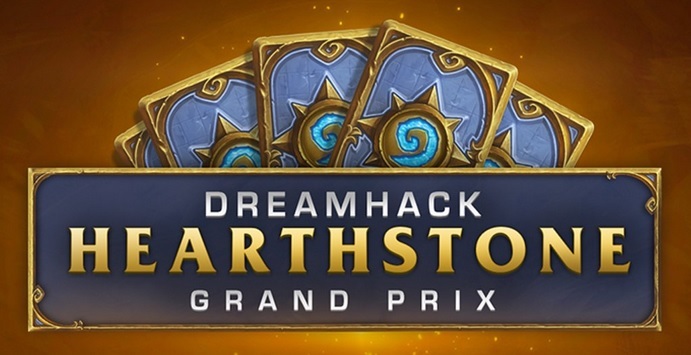 Dreamhack Tours was the last tournament of the pre-nerf Witchwood meta – the meta changed literally the following day – so in-depth analysis will not benefit future tournament preparation all that much. On the other hand, it was the only major Last Hero Standing tournament in the meta, which makes it a bit more interesting. Hearthstone HCT APAC Summer Playoffs 2018 were played on 19th May and 20th May 2018 at various locations across Asia-Pacific. 71 players had collected enough HCT points to qualify for the event, where they played for more HCT points, money, and four coveted spots to the HCT Summer Championship. Hearthstone HCT Americas Summer Playoffs 2018 were played on 12th May and 13th May 2018 at various locations across Americas. 73 players had collected enough HCT points to qualify for the event, where they played for more HCT points, money, and four coveted spots to the HCT Summer Championship. Hearthstone HCT Europe Summer Playoffs 2018 were played on 5th May and 6th May 2018 at various locations across Europe. 73 players had collected enough HCT points to qualify for the event, where they played for more HCT points, money, and four coveted spots to the HCT Summer Championship. In this post, I take a look at the decks and results of the tournament, including class distribution, archetypes, lineups, and ban strategies. Hearthstone HCT Taipei April 2018 Tour Stop finals were played on 27th April and 29th April 2018 at Blizzard Arena Taipei in Taiwan. It was an online-qualifier Hearthstone Championship Tour Stop, where 16 players had qualified from among hundreds to compete at the LAN finals for a $15,000 USD prize pool and HCT points. HCT Taipei was the first Tour Stop of Year of the Raven after the Standard rotation and release of The Witchwood expansion. In this post, I take a look at the decks and results of the tournament, including class distribution and archetypes. More Old Guardian deck guides on Hearthstone Top Decks! It’s one of the best decks in the game right now, play it while it’s hot! What will happen to Shaman in The Witchwood? Hearthstone HCT Copa America Autumn April 2018 Tour Stop finals were played from 5th April to 8th April 2018 in Rio de Janeiro, Brazil. It was an online qualifier Hearthstone Championship Tour Stop, where 16 players had qualified from among thousands to compete for a $15,000 USD prize pool and HCT points. HCT Copa America Autumn was the last Tour Stop of Year of the Mammoth before the Standard rotation. As the rotation takes place in a matter of days, this piece is shorter than usual, given the short remaining time left for the decks used in the tournament. Do you find these ideas interesting? I can help you! I run my own business, Kilkku Consulting. If you need help with problem-solving or analysis, or maybe this type of content for your own site, drop me a line at consulting@kilkku.com and we can discuss how I can help you! Live on Twitch now! Click to view.